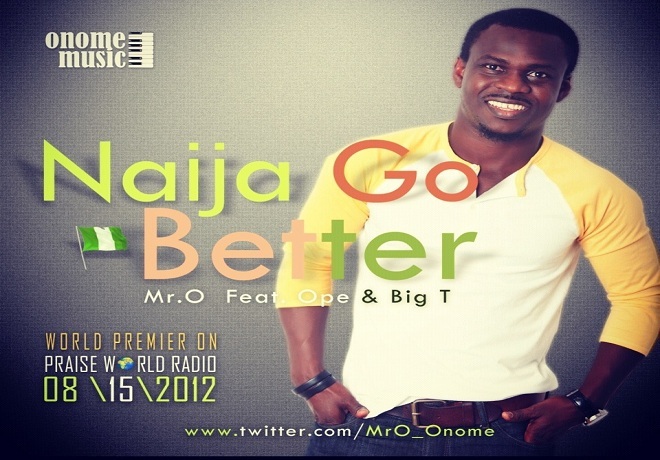 US based award winning Nigerian Jazz artiste Mr O (real name Onome Ovwori pronounce ‘Owori’) is set to release a new single of hope for Nigeria titled “Naija Go Better” on Wednesday, August 15, 2012. The new patriotic jam will be exclusively premiered on Praiseworld Radio during its flagship morning show “The Praise O’Clock Show”. Mr O teams up with Ope & Big T on this groovy tune which has a catchy hook that spontaneously gets you singing along. 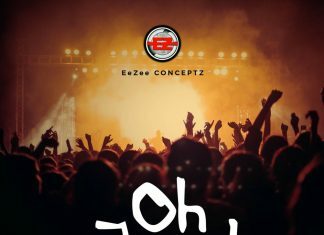 The song will be available for free download via Praiseworld Radio’s official website www.praiseworldradio.com on Wednesday, August 15, 2012 immediately after its premier on-air. Stay tuned to your favourite gospel radio station PRAISEWORLD RADIO for exclusive urban gospel music all day, every day! Cheers!! !